Congratulations! You are using your VA loan benefit to buy a home. Once you are under contract on a home, the lender will tell you that there needs to be a VA appraisal ordered. People usually have many questions about appraisals. The following are some of the most common ones we receive along with their answers. No, an appraisal by Veteran Affairs (VA) is not an inspection of the home. It is simply an assessment of the value of it. Yes, to use a VA loan, you must have a VA appraisal performed. How is the value of the home determined? The VA appraiser will consider the construction, condition, age of the home and the property values of neighboring homes. The appraiser will look at three homes in the area that are similar in size and age. For some locations, it can be difficult to find three comparables, so there are instances where they will only use one. What if the VA appraisal comes back lower than the purchase price contracted? There are some options if the VA appraisal comes back lower than the home’s purchase price stated on the contract. 1. The buyer can pay the difference between the amount the appraiser has valued the home and purchase price. 2. The buyer can negotiate with the seller to lower the purchase price. 3. 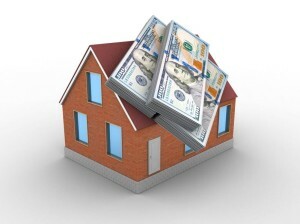 The buyer can request switching the loan to a conventional one and have another appraisal performed. Will the VA redo an appraisal? No, the VA will only do one appraisal even if the value of the home is less than what the buyer believes is accurate. What else does the appraisal do besides ensuring the purchase price is fair? The appraiser assesses the home to make sure it meets VA and lender guidelines. These guidelines include the property being safe, which means it is safe structurally and free from health hazards. Is the property a residence? The property should be big enough to be able to live in it. The electrical and plumbing systems should be in working order. Heating system should be connected and working. Water supply should be connected, working and meet all local and federal standards for quality. The roof should be free from missing shingles and holes. There can’t be any problems, such as mold or leaks, in the basement or crawl spaces. The property needs to have access from the street by driveway or walkway. No termites, lead-based paint or poor construction. Keep this in mind: A VA appraisal is for the buyer’s benefit. It protects the buyer (that’s YOU!) from overpaying for a home or purchasing one that may have serious issues that could end up costing thousands of dollars to repair. The information from the appraiser can be used to decide if you would like to continue with the purchase of the home or if you would be better off finding another home. Have more questions? Allied Mortgage Group can help. REO or bank owned: The terms REO – short for the term “real-estate owned” – and “bank-owned” both refer to properties that are owned by banks. 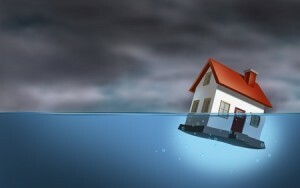 Properties gain that distinction after they go through foreclosure and fail to sell at auction. Adding to the confusion is that REOs and bank-owned properties are often called foreclosures. REOs, or bank-owned properties typically are offered for sale by real-estate agents and sold in “as-is” condition, meaning any repairs will be up to the buyer. HUD home: Still with me? This term refers to a home that was originally purchased with a loan insured by the Federal Housing Administration, which is part of the U.S. Department of Housing and Urban Development, or HUD. The FHA guarantees loans made by private lenders, so if a borrower defaults on an FHA loan, the agency will pay off the lender and take responsibility for the property. At that point, the property becomes a “HUD” home and is offered for sale in much the same way as a bank sells an REO. Rental payment history. If you’re a first-time home buyer, you’ll need to provide proof that you paid your rent on time. Your lender can tell you how to document this payment history. Tax returns. You will likely be asked for two or three years of tax returns with all the attached schedules and documents. 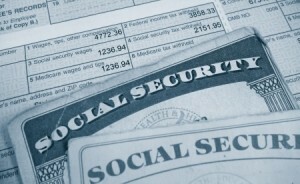 Paychecks, W-2s and other income documentation. Start with at least a month’s worth of paychecks, plus W-2 forms for you and your spouse. Do you have income from other sources? Include documentation for any freelance work, self-employment income and child support payments as well. Account information. Your lender will want to see checking and savings account statements for at least one month. You may be asked for any other account statements as well to document your down payment funds and money you have set aside in savings. Remember, the more quickly you respond to requests for documentation, the more quickly your loan application can be processed! Think that you need a 20 percent downpayment to purchase a home? Many prospective home buyers buy into this myth, studies show. Yet research shows that among those who take out a mortgage to purchase a home, the median downpayment is about 10 percent. For first-time home buyers (comprising more than one third of all home buyers), the downpayment is typically lower, in the 5 percent range, while repeat buyers typically make a downpayment of around 14 percent, according to National Association of Realtors’ data. For 59 percent of home buyers, the source of their downpayment is wholly or partially their personal savings. Thirty-eight percent of home buyers use all or part of the proceeds from the sale of a primary residence, contributing to the larger downpayment for repeat buyers. For 13 percent of buyers, the most difficult step in the home buying process is saving for a downpayment. Of those buyers, nearly half say that student loans made saving for a downpayment more challenging. Forty-two percent cite credit card debt as being their primary challenge; 37 percent cite car loans. Of all home buyers surveyed, 65 percent are married couples, 18 percent are single females, 7 percent are single males, and 8 percent are unmarried couples. Are you ready to purchase a home? We’re here to help you get started! You're in a multiple-offer situation. Now what? Start off with your best offer. This isn’t the time to start with a lowball offer and wait for the seller to make a counteroffer before you offer more. If you have competition, you’ll want to consider making your best offer right off the bat. That said, don’t let a multiple offer situation push you into offering more than you’re comfortable paying. Make sure you’re pre-approved. Make sure you’re pre-approved for a home loan before you start your home search, not just prequalified. Attach your pre-approval letter to your offer. Don’t skimp on earnest money. 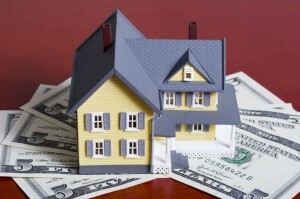 An adequate earnest money deposit is a sign that you’re serious about buying the home. Don’t waive the home inspection. In multiple offer situations, it’s easy to get caught up in the competition and do whatever it takes to win. To stand out, some buyers will even elect to not make a professional home inspection a contingency of their offer. Home inspections are an important part of the home buying process and can help you spot costly problems. Relax. There are so many parts of a multiple offer situation you have no control over, so try not to let the stress get to you.